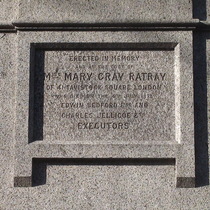 Erected in memory and at the cost of Miss Mary Gray Ratray of 41 Tavistock Square London who died on the 6th July 1873. Not 'loving memory', nor 'grateful memory', no terms of affection at all. 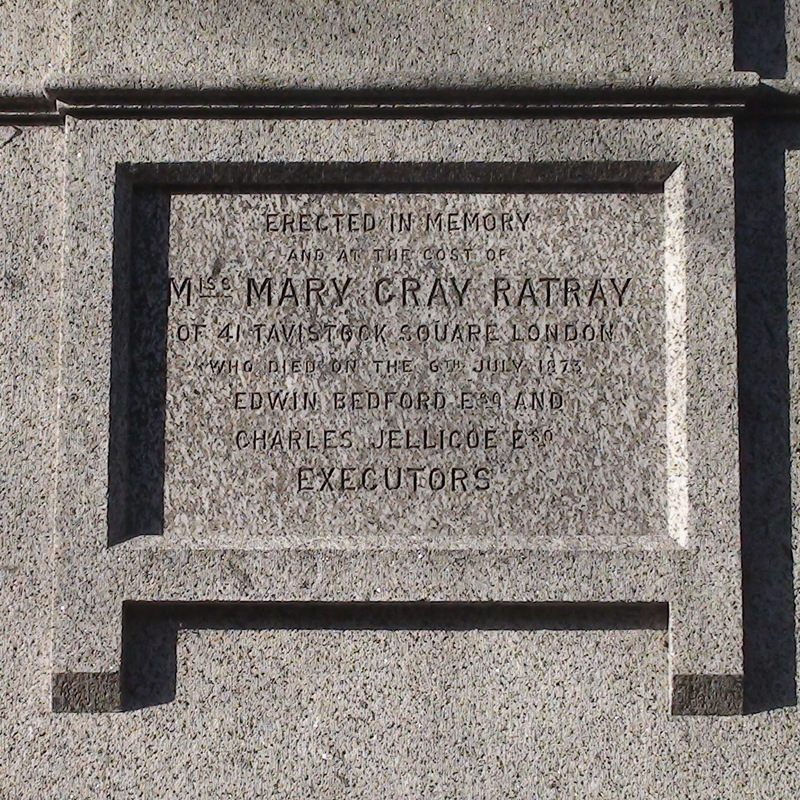 Either these executors never knew Miss Ratray or they knew her too well. Researching Miss Ratray we found little information, other than some serious doubts over the way in which her estate was distributed. See Bedford's page for the details. The fountain was restored in February 1993 and again in 1997.